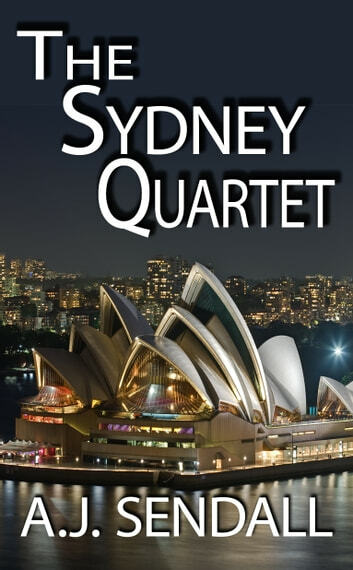 This quartet set in Sydney are all stand-alone, full length novels, and can be read in any order. Each has its own main characters, yet share some common secondary characters and locations. Those of you who have read Flank Street will remember Sonny Thaku, Ray Peterson, and Gary Mitchell. Those guys make an appearance in the other books. 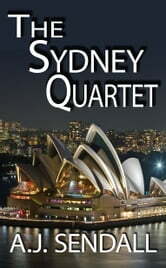 In Flank Street, Micky Dewitt and Carol Todd try to outsmart organised crime boss Johno Brookes, at the same time as trying to outsmart each other. Only time will tell who gets the best of who. Meet Me at Harry's sees unassuming Nick Miller cajoled into a life of crime by ex Chicago narco detective Stacia Black. PI Rick Stone is surrounded by murder victims in Cerise Noire. Is he the killer, or the target of a dark hatred? For Sam and Heather, the Shadow House is the only sanctuary as they carry out a daring subterfuge in a world of vice, death and deceit.